In October of this year, Earthsound had the chance to carry out one of the most spectacular surveys the company had ever tendered for! 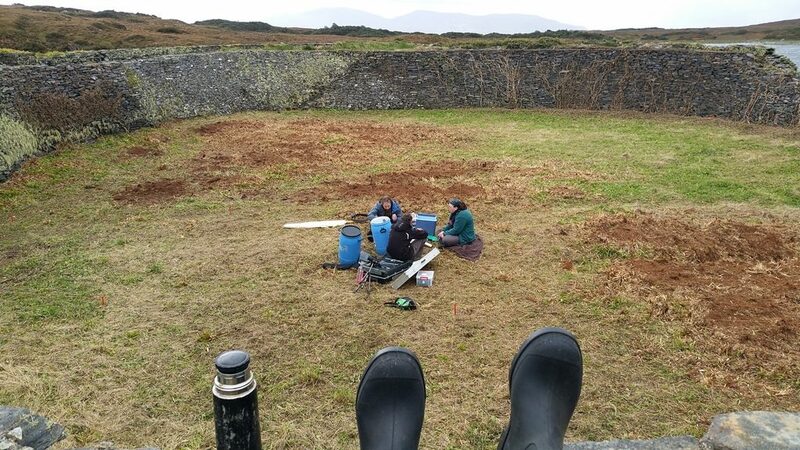 From the 2nd to the 6th, our full complement of field crew (Heather, Cian, Ursula and Ciarán) were out in the wilds of southwest Donegal. 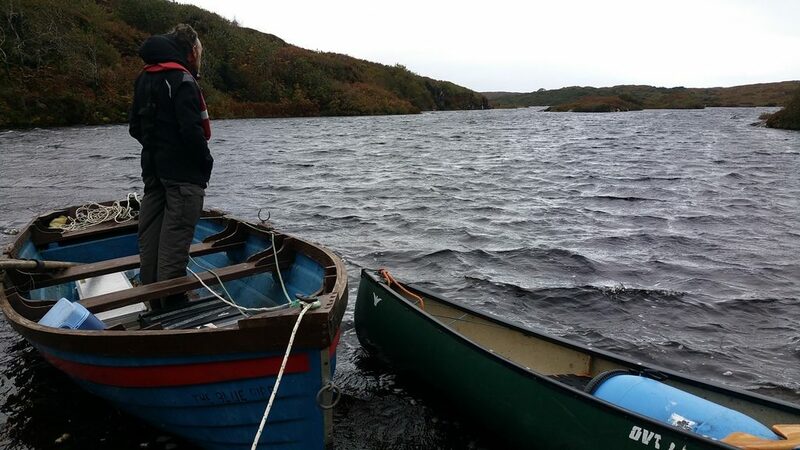 The subject of the survey was a cashel, on an island, in a lake! 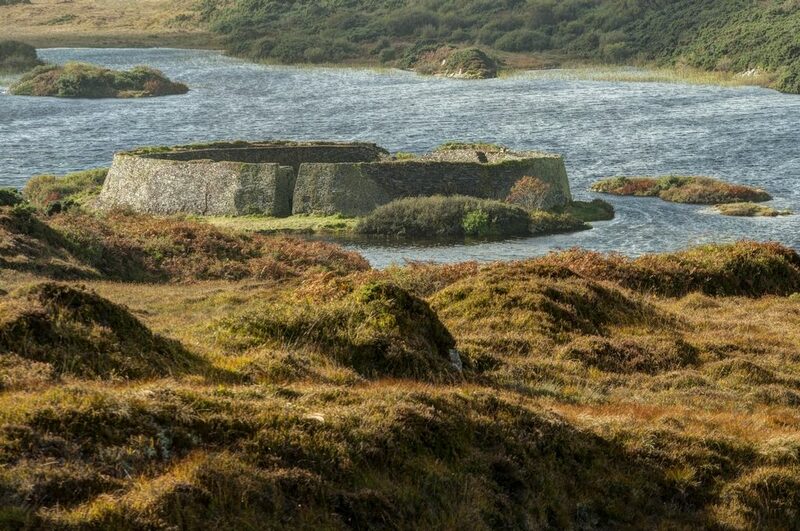 Doon Fort is a stunning stone stronghold, covering most of a small island found in Doon Lough. The massive dry-stone fortifications rise to a maximum height of c. 5m at the entrance and range in thickness from 3m to 4m. The cashel contains not only a crawl space, but also a passageway with stairs within the wall itself, which lead up to the wall walk. Approached from the east, launching from the lakeshore slipway, the fort makes an impressive appearance as you row up the lake and round a headland. 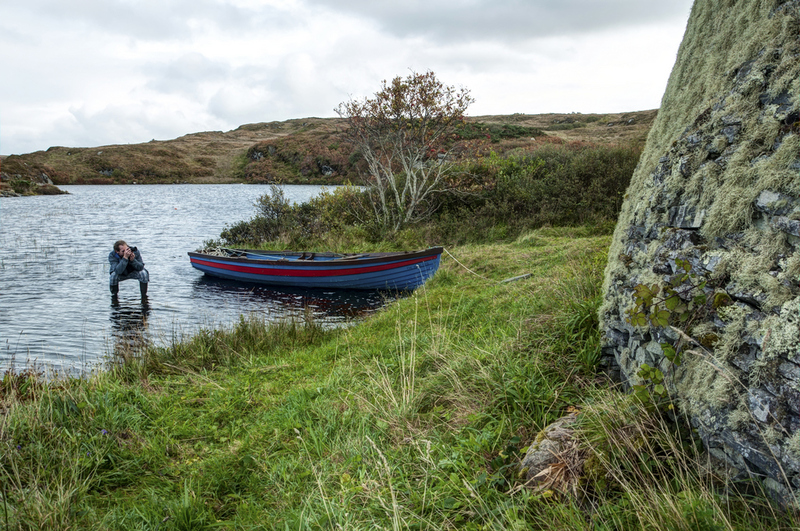 Loading up a small row boat and a canoe, the Earthsound crew made the journey up and down the lake with all the equipment needed to carry out the survey each day. 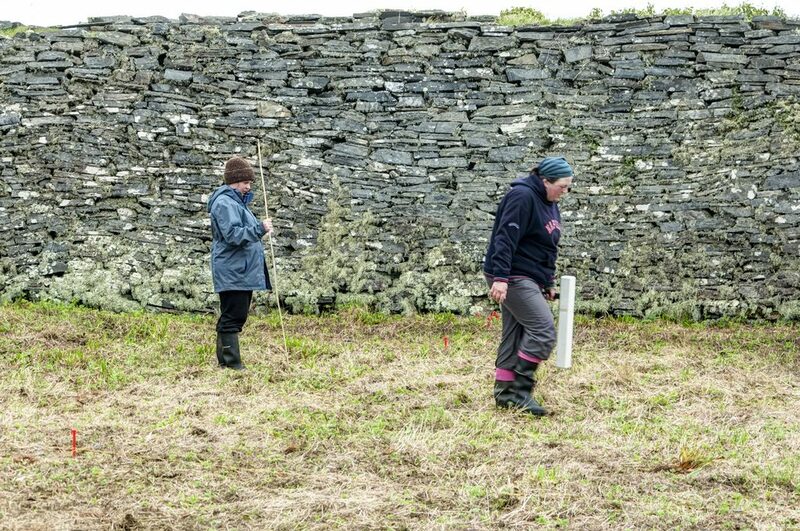 A comprehensive survey was undertaken of the cashel. The interior was investigated with high resolution surveys using a single gradiometer, a hand-held electromagnetic instrument and a twin-probe earth resistance meter. In addition to these, a topographic survey was also conducted. An additional aim of the survey was to produce a 3-D model of the monument. 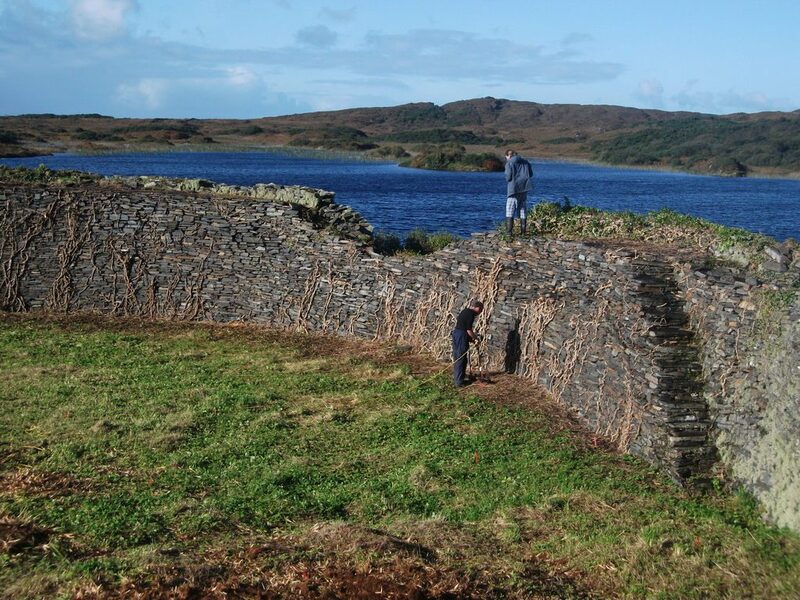 Photographs documenting the structure were taken from all positions: inside the fort, on top of the wall and outside the fort from a canoe and adjacent islands. Despite the small scale of the survey, a week was set aside to complete it. This was due to the changeable and harsh weather conditions sometimes encountered in this part of the country. As it happened, both the Monday afternoon and all of Wednesday were written off due to high winds and stormy conditions. On the other hand, the Tuesday, Thursday and Friday were very successful days, with all work being carried out in good conditions and an amazing setting! 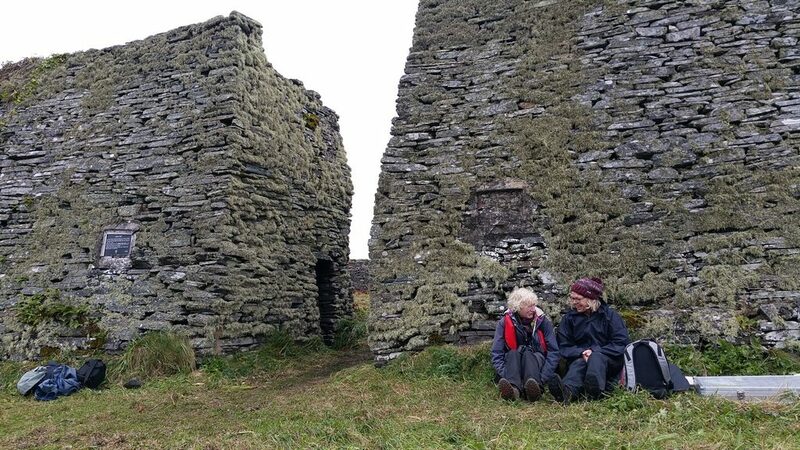 Doon Fort is looked after by the Ardara GAP Heritage & History Group who are working very closely with the landowners, the McHugh family, and, in the weeks leading up to the survey, their members and many local volunteers worked to clear the interior of heavy vegetation and the dense ivy from the walls. Without their hard work and dedication, the survey would not have been possible. The survey was commissioned by the heritage group as part of the ‘Adopt a Monument’ Scheme being administered by the Heritage Council (https://www.facebook.com/AdoptaMonumentIreland/) and Abarta Heritage (https://www.facebook.com/AbartaHeritage/). 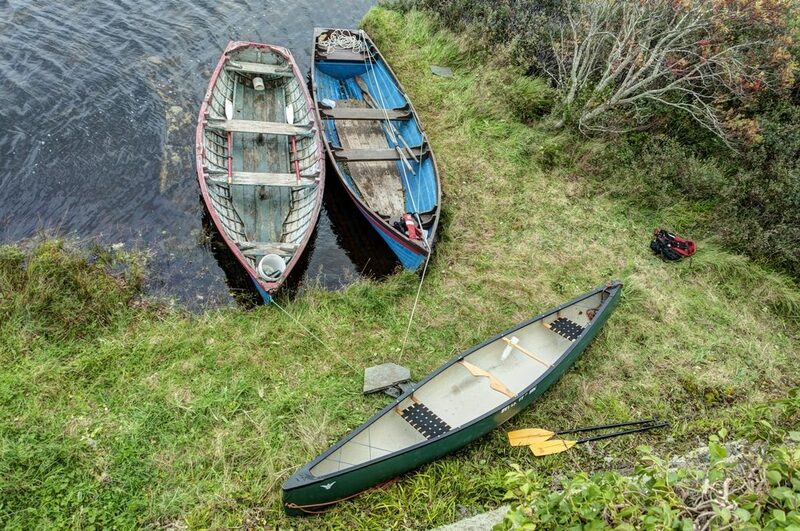 The canoe was loaned by Grainne Breslin and Owen McAuley, while the canoe equipment was on loan by Jarlath McHale, of Mayo Adventure Experience (https://www.facebook.com/mayoadventureexperience/). Unfortunately, there is restricted access to the monument. 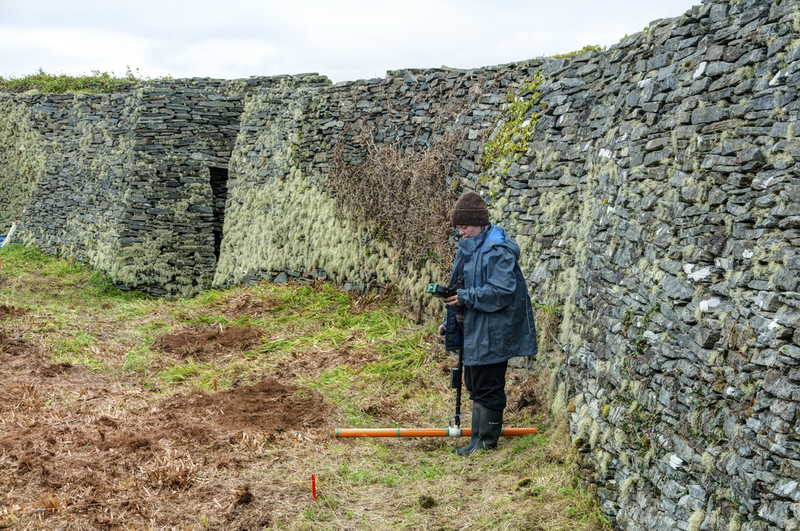 It is vital that anyone trying to visit the site, that they contact the landowner prior to any visit. Please see Ardara GAP Heritage and History Group on Facebook (https://www.facebook.com/ardaraheritage/) for more info. 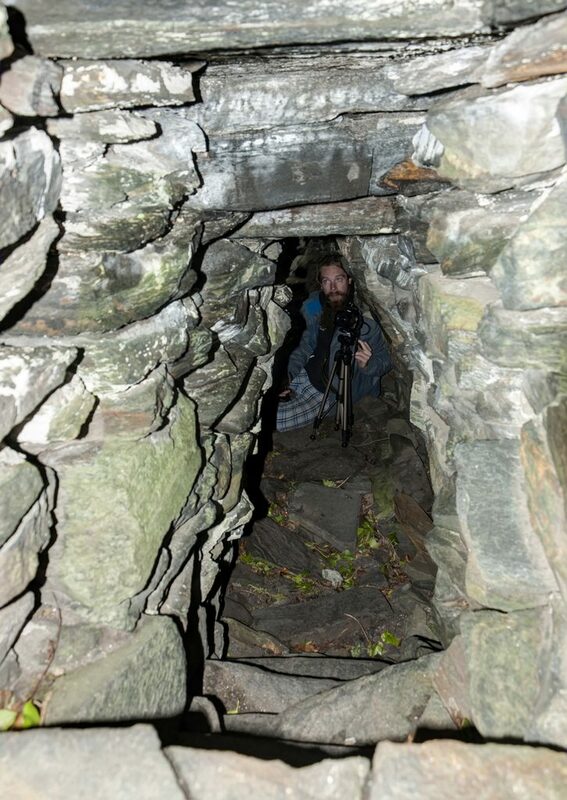 This entry was posted in Community Archaeology. Bookmark the permalink.